Poor air circulation in your home can endanger your health. You need good airflow to remove impurities in the air, regulate your home’s temperature, eliminate odors, and prevent mold. If you don’t have good airflow, check out these five ways you can improve it. Most solutions are easy and require little or no money. 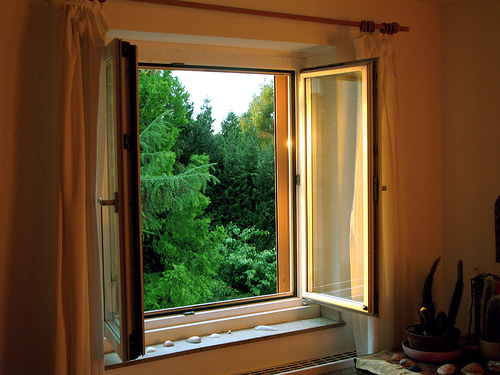 One of the simplest things you can do to improve airflow in your home is to open doors and windows. This allows bad air to escape and fresh air to enter. Ideally, you should create a cross breeze with open doors and windows to help air circulate faster. Simply open a door or window on each side of your home and you should start to feel a cross breeze. You can use fans to quickly move the air through your home if it’s not a breezy day outside. Furniture can block the airflow in your home, especially furniture with tall backs and no gaps underneath. The more furniture and clutter you have in your home, the harder it is for air to move around. When possible, arrange your furniture so that it does not block windows or the cross breeze in your home. Also, avoid buying furniture that is too large for your space. Proper ventilation is important because stale air can lead to the growth of mold and other harmful substances. This can have an adverse effect on the air quality of your home and the health of your family. Airflow is how you keep fresh air in your home. To prevent mold from growing and spreading, clean your air ducts and replace your air-intake filter. Your home’s air filter should be changed every one to three months, and your air ducts should be cleaned yearly or as needed. With proper cleaning, your HVAC system should do a good job of circulating air throughout your home, but you can improve the airflow further with ceiling fans. High traffic areas, such as the kitchen and living room benefit the most from ceiling fans. However, a well-placed fan in the center of your home also works well. Building code requires the use of air vents in bathrooms and other areas where humidity can build up. Too much humidity leads to mold and other issues. If you don’t already have an attic vent, install one to improve airflow in your home. You need a way to let moisture in the air escape, especially if you have a bathroom that doesn’t have any windows. Improving the airflow in your home is one of the easiest ways to improve air quality. Stale air smells bad and leads to mold and health problems. If your home lacks good airflow, do what you can to improve it. There are plenty of easy and inexpensive solutions.